Trend Spin Linkup- Leggings - The Mrs. & Co. Thanks so much for stopping by the blog! 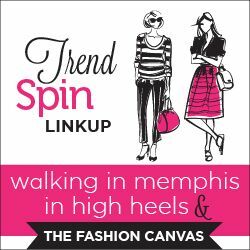 Today I am co-hosting the Trend Spin Linkup with Laura from Walking in Memphis in High Heels and Erin from The Fashion Canvas. The trend this week is leggings. I can't tell you how many pairs of leggings I own. Pregnant or not, leggings just rock. Bottom line. They are comfortable and it's fun to pick statement leggings to jazz up an outfit. White Plum has the best leggings if you are looking for statement leggings. So make sure you head over to their website and check them out. And because White Plum is so amazing, they have offered 25% off to my readers today! 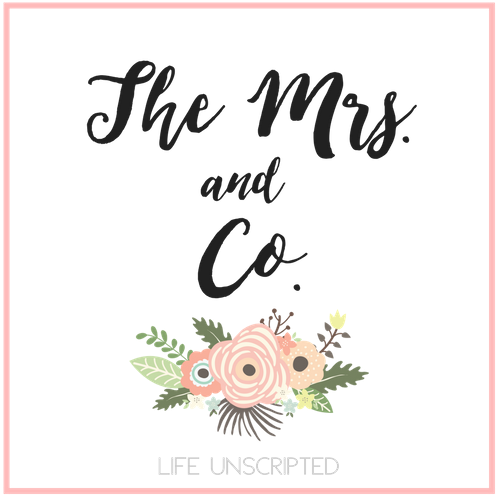 Use code 25OFFLINKUP until 12/19. Make sure you take advantage! Either for Christmas gifts or for yourself. Every girl needs to splurge occasionally! 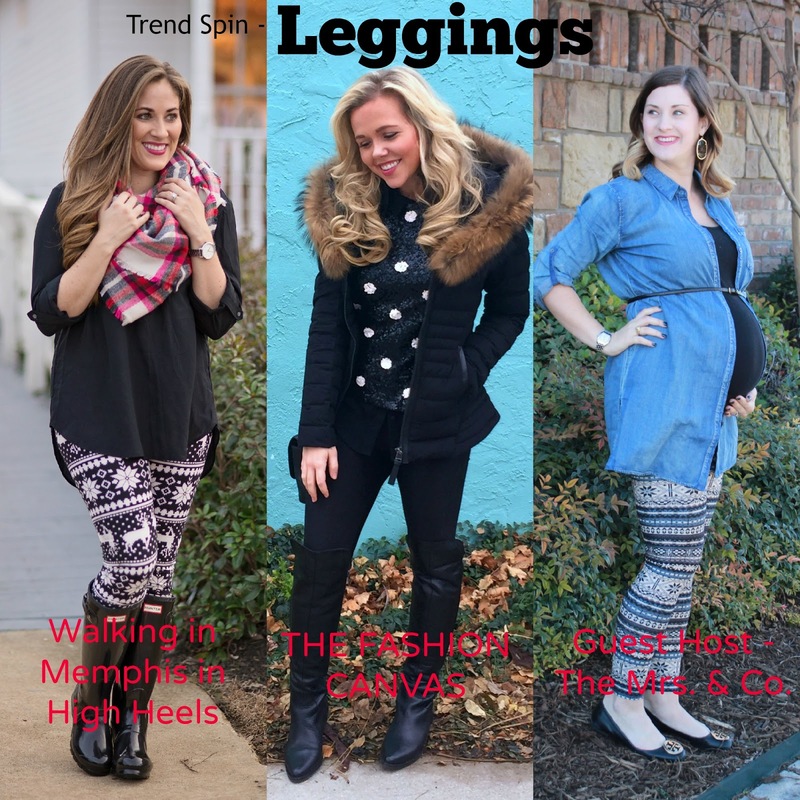 Come link up with us and show off your favorite leggings! You look too cute! I love that you belted the chambray shirt over your belly! AuthenticWatches sells authentic luxury brand name watches, with some watches selling at a BIG discount. It was cool to check this post. You have a great sense of style. I love it so much! I am glad to find this webpage. I will use your tips in the future. Thank you!